For years, Bitcoin has been called an International Currency, with the potential to change the way people all over the world use money. The problem is, there have historically been few ways for people outside of world powers like the United States to buy cryptocurrency with ease. This has been a major impediment to cryptocurrency adoption. Sure, people all around the world might want Bitcoin, but without a standardized way to purchase it, a comparative few would make the jump. That’s why crypto exchanges like Foxbit are so important. Foxbit allows Brazilian citizens to buy Bitcoin with their own home currency, the Brazilian Real. Foxbit represents a significant onramp (a place to trade state currency for decentralized digital currency) for a chunk of South America, as well as South Asia. We’ll cover how Foxbit works, and the other features they bring to the table, in the Foxbit review to come. Foxbit couldn’t be any more simple. It’s a digital exchange where Bitcoin can be bought and sold. What differentiates Foxbit from other simple Bitcoin onramps is that it allows citizens from Brazil to use the Brazilian Real to buy Bitcoin. Foxbit also accepts other non-mainstream (from the world perspective) currencies, including the Pakistani Rupee, the Chilean Peso, the Vietnamese Dong, and the Venezuelan Bolivar. Until fairly recently, people who use these currencies in their daily life had no simple way to buy Bitcoin. As such, Bitcoin started out as a primarily Western phenomenon, until becoming popular in world powers like the China. Today, smaller exchanges like Foxbit (less than $2,ooo,ooo in daily volume at the time of this writing), allow Bitcoin to disseminate in other world markets – a necessary step if Bitcoin is to truly become a decentralized international currency. Foxbit does the job well. Its straightforward design makes it easy to use, even for those who have never before bought cryptocurrency. Some might complain that Foxbit sells only one cryptocurrency (Bitcoin – even Coinbase sells Ethereum, Litecoin, and Bitcoin Cash). Nonetheless, this bare-bones simplicity may be the key to bring in new Latin American users, and Foxbit appears to do this perfectly. There are two sides to every coin, even digital ones. Foxbit might be a boon for people who use currencies like the Real, but it’s virtually unusable to those who don’t. These people might be well-served by alternative exchanges, but then again they might now. Fortunately, crypto investment alternatives like eToro make use of internationally used currencies like the US Dollar, casting a much wider net than FoxBit. Not only does eToro accept Dollars, it might just be a better way to buy Bitcoin for beginners (though beginners are far from its only clients). Foxbit may be easy to use, but it still leaves new users with the task of securing and managing their Bitcoin after purchase. For many long time crypto users, storing and sending Bitcoin is second nature, but to new users it can be a task so incomprehensible as to keep them out of the game entirely. eToro makes no such demands. In fact, they don’t even sell Bitcoin in the traditional sense. What they offer is investment returns from Bitcoin, just like a user might get via traditional ownership, though without the bother of actual Bitcoin ownership. It works like this. A user selects a certain amount of Bitcoin, just as if they were buying the real thing, and deposits the market value of that Bitcoin. That cash is then locked into a contract – a Contract For Difference (CFD), to be exact. A CFD is a contract between the user and eToro that if the contract is closed when Bitcoin costs more than it did when the contract started, that extra money will go to the user. If the price is lower when the contract ends, the difference between purchase and closing price will be deducted from the balance locked within the contract. As you can see, this model offers investors all of the potential risk and reward of traditional Bitcoin ownership, but any of the steep learning curve of the other form. Of course, eToro’s CFD model won’t work if a user wants to spend Bitcoin, or send it to another person, or hold it indefinitely. But, it’s a great solution for people who want simple investment without having to “learn” cryptocurrency ownership from scratch. eToro also represents a strong alternative to Foxbit because it offers cryptocurrencies beyond Bitcoin. Currently, eToro supports Ethereum, Bitcoin Cash, Litecoin, Stellar Lumens, Ripple, Dash, Ethereum Classic, EOS, and NEO. None of these coins are sold through Foxbit. Foxbit would be required to first buy Bitcoin on Foxbit, then send it to a different exchange or exchanges to buy all of the currencies available under one roof at eToro. eToro isn’t available for US citizens, but neither is Foxbit. For users outside of the United States and Europe, eToro may be the best way to take advantage of the volatility and upward momentum found in some of these alternative cryptocurrencies. It’s also a great way for these users to dip their does in the crypto waters without the worry of their coins being lost or stolen. What Does Widespread Bitcoin Adoption Mean for Central America? We’ve already described how Foxbit’s role in Central America and South Asia will be an important step for Bitcoin’s worldwide adoption as investment asset and sometime-currency. The Bitcoin network is clearly benefited, but what advantages does Bitcoin offer to nations served by Foxbit? Turns out, more than a few. Firstly, Bitcoin, as a decentralized currency, offers a great deal of freedom to citizens of any nation. This might not seem like a big deal to people in Europe, where the value of the Euro is fairly stable, but it is a huge deal for people who live in Venezuela. Venezuela has undergone near-complete financial collapse is recent years, and their national currency, the Bolivar, has lost nearly all of its value due to hyperinflation. Much of this is due to the actions of a corrupt government, a regime whose power is so influential that citizens of Venezuela had little recourse for the wanton devaluation of their only currency. Bitcoin was a gamechanger for these individuals. Now they could trade their currency, plummeting in value, for a digital currency not issued by any government, corrupt or otherwise. Critics often complain about Bitcoin’s volatility, but compared to the ill-fated Bolivar, Bitcoin was and is a very steady ship. During the months of the Bolivar’s worst performance, some Venezuelans saw their wealth actually increase. Bitcoin also represents an investment opportunity, in parts of the world where assets and opportunities of this sort may be limited. American investors benefit from a highly structured marketplace, with a huge variety of assets available through online brokerage to anyone with the savvy to open a brokerage account. In many parts of the world, digital and other investment marketplaces are not so robust, and the assets available for investors are not very diverse. Some investors are not able to buy American or European securities, greatly restricting their ability to benefit from growth in various global financial sectors. Bitcoin offers these investors a new asset class that regulatory bodies of the world are having a very difficult time controlling. At the very least, it affords Brazilian (and other) investors the chance to diversify their portfolios. For those whose assets predominantly exist within their nation of origin, this decentralized asset solution is a profound change. Bitcoin also offers another kind of financial freedom to Central American and South Asian investors. National banking systems and international regulations often make it difficult for citizens to move their money to other nations, or to spend it as they wish on goods and services based in other countries. Bitcoin fundamental changes this restricted reality. China has proven that Bitcoin is a useful vehicle for moving wealth out of a home nation, especially when such actions are restricted or forbidden through conventional banking channels. Bitcoin allows users within the Foxbit ecosystem to move and spend their wealth as they wish, a fundamental freedom for believers in the sanctity of property. As you can see, Bitcoin is more than a tool for value speculation for many of the people served by Foxbit. For some, it’s the first tool at their disposal that offers real financial freedom, to plan for the future, and to use as one pleases in the present. This utility of Bitcoin, as facilitated by Foxbit, cannot be overstated. As is sometimes the case with nation-specific cryptocurrency exchange outside of the global mainstream, Foxbit’s fees are a little bit higher than what one would pay at a Bittrex or Binance, but are cheaper than Coinbase, the most popular fiat>crypto onramp in the United States and other western Savvy nations. When you buy Bitcoin, you’ll pay 0.50% of your purchase in fees. When you sell, you’ll pay just 0.25%. It’s free to deposit your fiat currency in Foxbit (bank>Foxbit), but withdrawals are charged a 1.30% commission fee. Foxbit does one thing and one thing only: sell Bitcoin to people in Brazil (and the affiliate programs in the nations already mentions). Fortunately it does this well. All of our research suggests that Foxbit is a highly secure exchange, and that the user experience is of a very high quality. Of course, by filling such a small niche (one cryptocurrency sold to citizens of one country), Foxbit is not an option for a much greater population of potential customers, many of whom might like to use such a high quality platform. In addition to this obvious limitation, Foxbit also offers very little in the way of bells and whistles on its trading platform. There’s no mobile app, either for Android or iOS. There’s no margin trading. There are no price charts of any kind (most exchanges have various ways to visualize trading data). Foxbit offers almost none of the features that any one with experience in cryptocurrency investment will be accustomed to using. Whether or not this is a bad thing is up to you and your needs. Some people really enjoy not having to deal with a bunch of visual chaos, or unused trading options. Instead, a basic exchange protocol like Foxbit is preferred. In the end, we think this is basically a wash. Brazil is not as far along in its cryptocurrency market and industry as some parts of the world. Internet access can be less developed as well. It makes since for a Bitcoin exchange in Brazil to make itself as simple as humanly possible. Savvy users can find international exchanges with a lot more options (or just try eToro). Foxbit is a comforting option that doesn’t make things too complicated. There’s really only so much you can say about a simple exchange like Foxbit. In the end, whether or not you use it will depend on your need for its specialized services and the other options you might have access to. 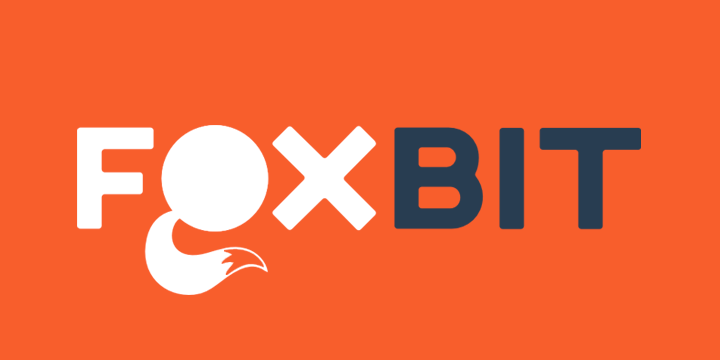 For its part, we think that Foxbit is a credible Bitcoin exchange with a high degree of security and simplicity for users (especially new ones). If you live in Brazil and you want to buy Bitcoin for the first time, there may be no better option. No country has a ton of fiat>crypto exchange onramps, so Foxbit really does offer an excellent service in this regard. Over and above this, the ease of use inherent in this platform, along with the competitive fees, make it a no-brainer for new Bitcoin users in Brazil. For users in the other network areas of service, Foxbit gives users Bitcoin as an option for investing and to combat the potential failure of local currencies. Bitcoin may not be a truly global currency yet, but small exchanges like Foxbit are certainly helping it to meet that goal.